We have a 2011/61 VW Passat. Lovely car, but has started using water from the coolant tank. I put water in it to max level on Sunday, drove 40 miles with aircon on, then, checking on Monday morning, the coolant had gone under the minimum line. After putting water in it to Maximum line and driving it to work and not using the aircon, the coolant had dropped slightly, but not as much as when aircon had been on. Any suggestions on what may b happening. Possibly nothing more than an airlock in the cooling system. You might be able to purge this. From stone cold, turn the heater to max to circulate coolant through it. Take the cap off the expansion tank. Then start the engine and run it up to temperature or until coolant starts to geyser out of the tank. Then replace the cap using a tower to protect your hand from hot water. Be very careful not to catch fingers or sleeves or the towel in any moving parts. The fan may start turning. Though you regularly sing the praises of Michelin Cross Climate Tyres, as a well-satisfied J11a Qashqai owner, it’s disappointing you very rarely suggest the Sunderland built Qashqai, as an option when making suggestions. As you’ll know it has won many Car of The Year Awards. We should all be supporting British manufacturers in my view; my wife drives a Jag; old fashioned views perhaps, but we have a thriving car manufacturing sector now. The updated Qashqai J11b version is coming out in the summer I gather. However, thanks to government meddling with Vehicle Tax I’ll be staying put for some time, as I’m sure will others. A recent email reflects the anti-Qashqai view again, in my view; although the enquirer asked about the Qashqai, your reply seems to ignore that option. Here's why. Qashqai 1 complaints: http://www.honestjohn.co.uk/carbycar/nissan/qashqai-2007/?section=good/ Qashqai 2 complaints: http://www.honestjohn.co.uk/carbycar/nissan/qashqai-2014/?section=good/ I gave it a fair test as a car: http://www.honestjohn.co.uk/road-tests/nissan/nissan-qashqai-12-dig-t-2014-road-test/ But, as with VW Golf Mk VIs, the level of reported problems would make me less than honest if I recommended it. Cars can be sitting in compounds for a long time and the customer is often no wiser. Any thoughts on one unused for 6 months on offer to me at circa 25% discount that will be discounted also due to a very slight build change recently (new car is more money and possibly less of a car). Its a Mercedes SLC AMG Line diesel with low spec; just heated seats and a Night Package (different wheels and door mirrors), but unlike a current factory order it has genuine leather, the red stitching and red belts like our current SLK and not something recently introduced called "Man Made Leather", whatever that is. Very tempted to take a punt and its not going to be a £40k tax car either. I have driven a Nissan Juke, bought new, for less than two and a half years and less than 15,000 miles. Now the clutch has needed replacing. Nissan's response was “wear and tear” and “not covered under warranty.” Their exact response when I questioned why such an expensive part has a short life span, and do their engineers question this was it was at their “discretion” whether engineers did and they were not willing to do so. I drove a Honda for fifteen years without any major repairs being needed. My driving has not changed. Is there a lesson to be learned here? I would really appreciate your views on this matter. No. Too trivial a fault to reject the car. You are entitled to get it back properly fixed, though. From the message you received, they seem to be doing everything they can to get it fixed as soon as possible. I enjoyed owning a Mk 6 Golf 1.4 7-speed DSG since 2012 with no problems. Even noting your regular warnings about DSG issues I bought a Mk 7 last year. It is smooth, quiet, composed and economical. Nevertheless the clutch had to be replaced after 10,000 miles for a known fault causing a screeching noise on gear change. The dealer efficiently carried out the work under warranty but I asked VW UK to restore my faith in the DSG box and in their engineering prowess by backing their product beyond the standard 3-year warranty. You have previously written that VW gives a 5-year warranty on the DSG in the USA. I think that would have been a fair resolution to this problem. But they said “No”. What is your view? I have read reports in the Telegraph about the new Volvo XC60, and it appears to be sleeker, lower and quicker (with more gizmos) than its predecessor. I have a 5-year old XC60 which I bought following some very useful correspondence with you, which I enjoy driving probably more than I would the new model. Is this the time to consider buying an almost new version of mine, which I know my way round? Or keep the car I've got? If I keep the car, which is in good condition (other than slight corrosion to the alloys, and will soon need new tyres) what kind of costs am I likely to incur in the near future? If I trade up, what would be the price of a nearly new XC60 of the same or better specification than mine, i.e. sat nav, security pack, driver support brakes, family pack, premium pack, heated seats and parking sensors, and what would my car be worth as a trade in, it's a D3, and has covered 40,000 miles. Do you think there likely to be any decent deals available? That's clever thinking because for the last couple of years the XC90 has had Volvo's new own brand 2.0 litre 4-cylinder diesel engines that are very good. So you'll be getting a new model blighted older model without all the new fangled gizmos you don't want for a lot less money. Makes more sense than keeping an older XC60 with the old Volvo engine that will need a timing belt, tensioner, waterpump and aux belt very soon at the very least. Our 2014 BMW X3 M Sport auto has done 14,000 miles to date. It has professional media and metallic dark grey paint. With the warranty running out in November we like the Macan 2.0 petrol. A few options take the price to £50k and an 8 month lead time, offset by apparently strong residuals, so we can have it new for March 2018. Our plan is to sell the BMW before receiving the Porsche privately, add some cash and finance about £20k over 3 years. We have a good credit rating so should be able to land a better deal than the Porsche dealership offers at 6.6%. When to sell the BMW? We have other car options to last us a few months. Will it depreciate a lot more after say August / September this year as the warrantee looms to expire? You can now also get an F-Pace 2.0 litre petrol with 250PS, but if you prefer the looks of the Macan I won't argue. Now is a good time to sell a car. November is a bad time, but obviously not so bad for a 4WD assuming the X3 is X-Drive. You made a good point about the warranty. Approximately two months ago my daughter was hit from behind whilst stationary with handbrake applied, sufficiently to push her car onto the footway. The car, then eight months old, had to be put on a specialist jig and soon will be ready for collection from the repair specialist. My question is: the bodyshop has sourced bonafide KIA parts and has stated it warrants its work for three years, but how does this impact on KIA's five year plan? I have advised her to contact the insurance company to get more information. I was wondering if I could receive any recommendations for a replacement car. I was involved in a non-fault RTA involving a lorry and my 2007 Suzuki Swift 1.3 GL petrol hatchback. Fortunately no one was hurt and no other vehicles were involved. I am currently in the process of sorting this out with my insurers and, due to the level of damage sustained, I suspect it will be a write-off, somewhat sadly, as I had only owned the car 5 months. Subsequently I'm looking at replacing the car with something similar, with a budget of around £2,500. Ideally I would like a 5-door car, preferably petrol, with no more than a 1.4 litre engine as I am still under 25 and that tends to make insurance expensive. I liked the Swift as it was just about large enough to fit my bike in the back when I took the front wheel off, plus the facts the seats folded down flat, and that it had a cam chain engine. I was getting around 41mpg with the Swift, and would like to improve on this a little if possible. I've been looking at a 1.2 Renault Clio, Hyundai i10 or i20, Fiat Panda (Eco range), Mazda 2, and Toyota Yaris (2005- models). What would you recommend? None of these are as good overall as a Swift which is probably also more fun to drive than any of them apart from the Mazda 2 1.3TS2. A Yaris 1.3 is a solid choice. So I'd stick to Swift 1.3, Mazda 2 1.3TS2 or Yaris 1.3. I have a VW Golf Mk VII 1.4TSI, 20 months old, 23,000 miles. When driving at about 50mph the engine revs and the clutch seems to disengage for 3 or 4seconds, then things return to normal accompanied by a smell of burning. This has happened several times during the last few weeks. I have owned about 20 cars from new and driven over 700,000 miles and have had just one clutch replaced. Do I have to accept the garage's answer that the clutch has worn out? I always drive with my left foot well away from the clutch pedal, never riding the clutch as the garage suggests I may do. I intend to keep the car for several years and do not want the expense of a new clutch every 20,000 miles or so. Your verdict would be most appreciated. My brother runs a 2003 Jaguar 2.0 X-Type, which is trouble-free apart from one worrying intermittent fault. Every so often the central locking system fails, so the car can be neither locked nor unlocked and using the manual key has no effect whatsoever. If left for a good while, the locking/unlocking system will work again but he is worried that one day it won’t. Fortunately he has not yet found himself locked inside the car (which locks automatically when driving) He carries a ‘Life Hammer’ at all times just in case, but it is very annoying and potentially dangerous. He has been told that something can be done to neutralize the automatic central locking, but that it would cost more than the car is worth, and that it could potentially interfere with other electrical systems within the car (it would not be known what would be affected until the work was done). He likes the car very much and does not want to lose it, especially as in all other respects it runs very well. Have you any ideas he could try, please? Look for rubber grommets in the lock faces of the doors, temporarily unplug them and, using the extended nozzle, squirt WD40 onto the lock servos. That should dry out any moisture that is causing the servos to stick. I purchased an Audi on 4th February 2017 from an independent dealer and after two weeks I noticed a vibration at idle, especially worse in reverse under load but only when at normal engine temperature 90 degrees. I contacted the dealer and he agreed to let a local Audi dealer try and diagnose. Upshot was new gearbox fitted (goodwill gesture by Audi as the car had only done 10k miles). Labour paid by dealer. The problem is still there, so I tried to reject the car but the dealer decided he would rather pay Audi again to try and rectify it. Therefore, new engine mounts were fitted (paid for by dealer). Problem still there. I tried to reject again, but am coming up against brick wall with the dealer. He will no longer pay for work by Audi and reckon he wants to check it out. My major concern is I will be left with a car that could be in and out of garage for who knows how long. I have meeting with him next Wednesday to show him the fault but am not convinced he will play ball. I have an email from Audi saying more investigations need doing to try and find the problem. I know I have am covered re Consumer Credit act 2015, but feel I am getting no further forward and he is just stalling. I have since found out after purchasing that the car has had accident damage repair, although I believe there was no chassis or structural repair. However Audi thinks something may have been knocked out of balance but cannot be sure. Your advice, please. I have a 2007 Audi A5 3.0 diesel quattro, which I have owned from new. It has always been serviced by Audi and I have only ever used BP Ultimate or Shell V-Power diesel. The car has covered 68,000 miles and I have been considering changing it but I wanted to keep a 3.0 diesel engine, ideally 4 wheel drive but most importantly a manual gearbox. Audi, BMW and Mercedes only offer an automatic gearbox with their 3.0 diesels. My wife has the wet gearbox with 8 gears in a her Touareg and I can’t stand it as it seems to have a mind of its own constantly changing between gears and has already had gearbox warning lights on at 8,000 miles when the gearbox oil was found to be low. Driving it in manual mode is no better as it still knows better and forces gear changes if you have not changed in time. Any thoughts on a replacement car, I’m not wedded to Audi, BMW or Mercedes but can’t find any 3.0 manual diesels with other manufacturers, or should I just hold on to mine as there is nothing wrong with it but I’m concerned of big bills to come for the DPFs, etc. I have thought of petrol but do long journeys and like the flexibility of the 3.0 diesel which I can stick in 6th pretty much from 40 mph onwards and change down for great overtaking acceleration. Audi fits a longitudinal 7-speed 's-tronic' in the Q5 3.0V6TDI, etc., not the 8-speed torque converter auto. But your problem is that your car will probably be EU4 and any diesel less than EU6 will soon face penalties for entering city centres. BMW fits its 3.0 litre diesels with torque converter autos to prevent problems with dual mass flywheels and also to better control emissions. I agree with what you write about VAG's 'nannying' boxes, but the new transverse 7-speed wet clutch DSG/s-tronic in the TTRS and RS3 is much better. You can't get a Jag or LandRover with the 3.0 litre TDV6 and a manual box either. Do you know if there are issues with the park pilot on a Mercedes? I have had mine since December 2016 and have tried to use the auto parking without much confidence, really. However, last week I tried it on the local Tesco car park. It identified a parking space between two cars and then, when I pressed ‘park’, off it went. Unfortunately there was no parking space. There were 3 cars in a row. It would have reversed into the middle car if I hadn’t stopped it. As an independent body your comments are highly valued. Never heard of this before. The system has been around in S Class for at least 10 years. You can even get it on a Ford C-Max. It's obviously difficult to test if it's working correctly, but, of course, you remain in control of the braking and if you're a left foot braker you can stop the car within inches. I will make a note in carbycar. I am looking for a suitable car for my 18-year old grandson. He will be a learner driver. I am offered a black 2008 Renault Clio 1.2 Extreme hatchback petrol manual. Mileage 77,000. Price £1,100. Do you think that this is a suitable car for a boy to learn to drive (cost, insurance etc)? Can you advise if the asking price is reasonable? Does this model have any potential problems that I should worry about? I love my December 2004 Ford Mondeo Ghia X 2.5 V6 auto, but feel in need of a change. I've always had Fords and my natural instinct is to go for another Mondeo. I fancy a hybrid, but the Mondeo hybrid puts me off because it's longer than my present car (garage space issue), it's got a CVT gearbox and, partly because of that, it got only mediocre reviews in 2016. Should I be put off by the CVT gearbox? 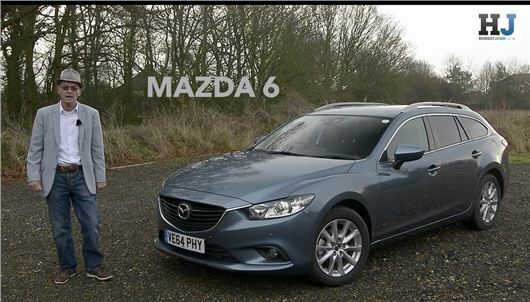 What other makes/models should I look at to get the same comfort and reliability as my Mondeo? My mileage is only about 3,000 per year, mainly town and 50-mile radius. I'd test-drive a Toyota Prius and see if you can get on with the epicyclic CVT. It's probably the most reliable car on the planet. Test here: http://www.honestjohn.co.uk/road-tests/toyota/toyota-prius-2016-road-test/ Test of Mondeo hybrid here: http://www.honestjohn.co.uk/road-tests/ford/ford-mondeo-vignale-2015-road-test/ Unfortunately neither of these drive like your wonderful V6. The only reason for a retired couple to consider a PCP is if buying it on a PCP you get a deposit contribution that amounts to a discount that you could not have got for cash. Talk to www.drivewthedeal.com about this. The F25 X3 has been around for a while, so is likely to be replaced fairly soon. The Honda HR-V is very good, but at its best (in the UK) with the 1.6iDTEC diesel engine. I achieved nearly 60mpg in one over a year and had absolutely no trouble, but the car is improved enormously in all conditions, summer and winter, by fitting Michelin Cross Climate tyres. Among the hybrids you could consider the KIA Niro and the Toyota C-HR. Hybrid drivetrains are generally the lowest maintenance and most reliable you can get. Qashqais have had a few problems. Evoques are a bit expensive. To replace the smaller car, a Toyota Yaris hybrid is worth considering. You can look them all up at http://www.honestjohn.co.uk/carbycar/ where the introduction pages give you links to road tests with more comprehensive information. Service packages rarely provide at least one oil and filter change a year, which I regard as essential, no matter how few miles the car is actually driven.